Augusta Ada King (née Byron), Countess of Lovelace (1815–1852) was famous in her day simply for being the daughter of the Romantic poet Lord Byron. In the twentieth century, however, the source of her renown shifted from her family background to her own achievements. Interested in mathematics and science from an early age, Lovelace studied the former on a largely self-motivated basis, but with occasional assistance from many of the scientific and mathematical figures of her day, including Charles Babbage (1791–1871) and Mary Somerville (1780–1872). Lovelace's acquaintance with Babbage began when she was still a teenager, when she also came into contact with his ideas for the construction of what would have been, in essence, a steam-powered computer. As one of the few people who understood the potential of Babbage's machine, Lovelace went on to write a series of notes on its possible operation, and is thus hailed as an early pioneer of computer science. Much of the higher mathematical knowledge that Lovelace needed for her technical work with Babbage came from an informal correspondence course that she had taken in 1840–1 with Augustus De Morgan (1806–1871), founding professor of mathematics at the London University (now University College London) and a prominent mathematical educator. What survives of this correspondence is preserved in Box 170 of the Lovelace Byron family papers, on deposit in the Bodleian Library. Indeed, although mathematical materials are scattered throughout the family papers, it is those in Box 170 that present the most coherent picture of Lovelace’s mathematical abilities. In these papers, we gain a real sense of Lovelace’s progress as a mathematical learner, as she moved beyond the basic geometry that had hitherto formed the bulk of her knowledge, and got to grips with more advanced topics, principally the calculus. De Morgan’s effectiveness as a teacher is also evident in the papers: we see how he gently prompted Lovelace to address the gaps in her knowledge that had resulted from the patchwork nature of her prior mathematical education. Aside from the Lovelace–De Morgan correspondence, Box 170 also contains other pages of mathematical interest – most particularly the fascinating 'Königsberg bridges' sheet (folios 176–7). More will follow. CMI is very grateful to Ada’s descendant, the Earl of Lytton, for his family’s permission to undertake this project. Christopher Hollings, Ursula Martin, and Adrian Rice, The Lovelace-De Morgan Mathematical Correspondence: A Critical Re-Appraisal, Historia Mathematica, online first May 2017. 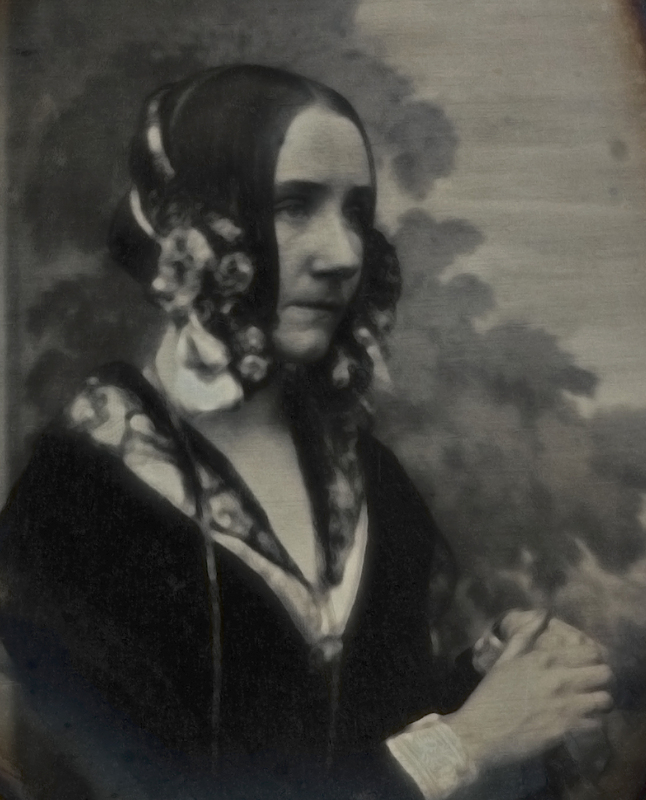 The image on this page is of a daguerreotype of Ada Lovelace, owned by Geoffrey Bond. It is reproduced with his kind permission. With thanks to Christopher Hollings, Ursula Martin, and Rosanna Cretney for work on these web pages. Christopher Hollings acknowledges support from EPSRC under EP/K04025.